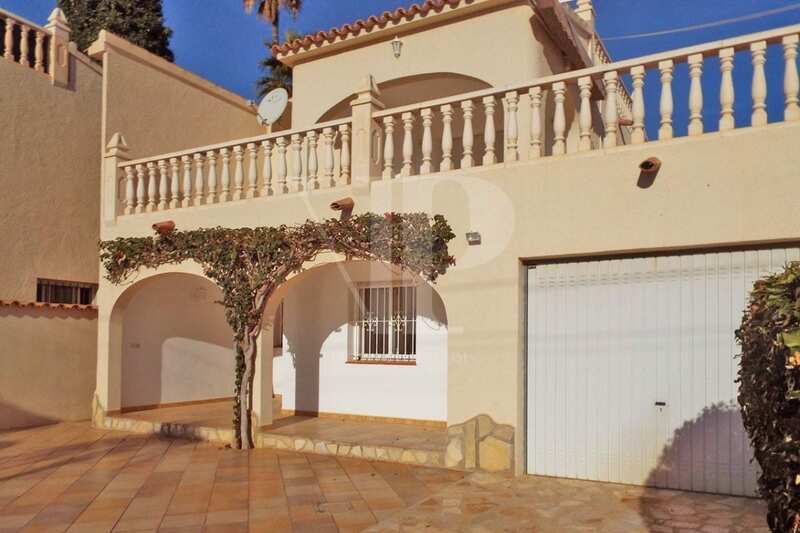 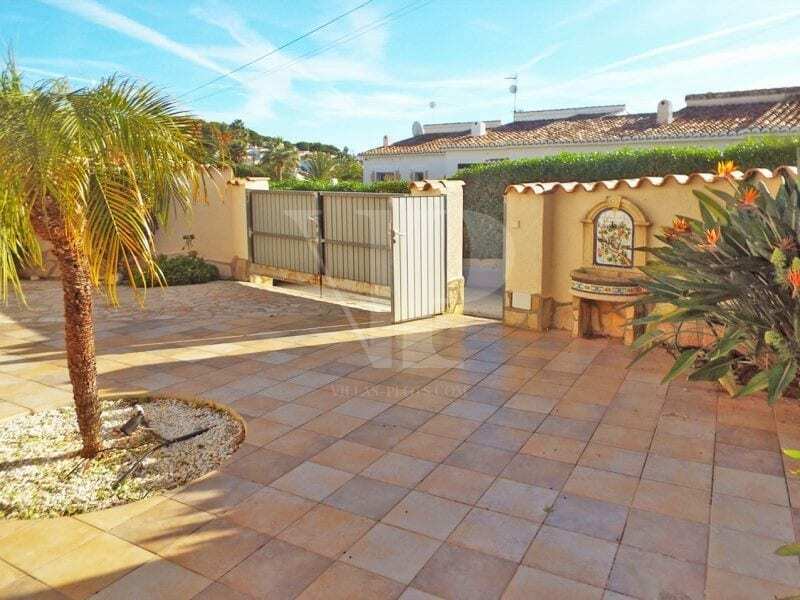 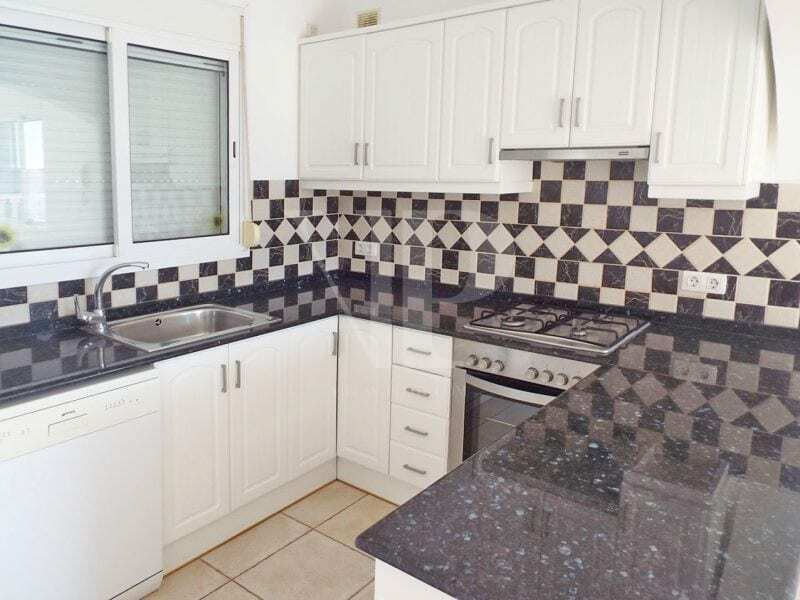 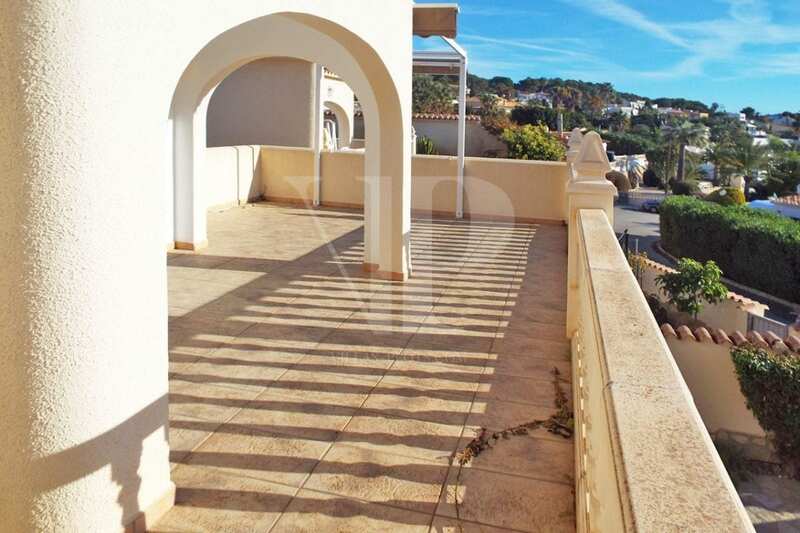 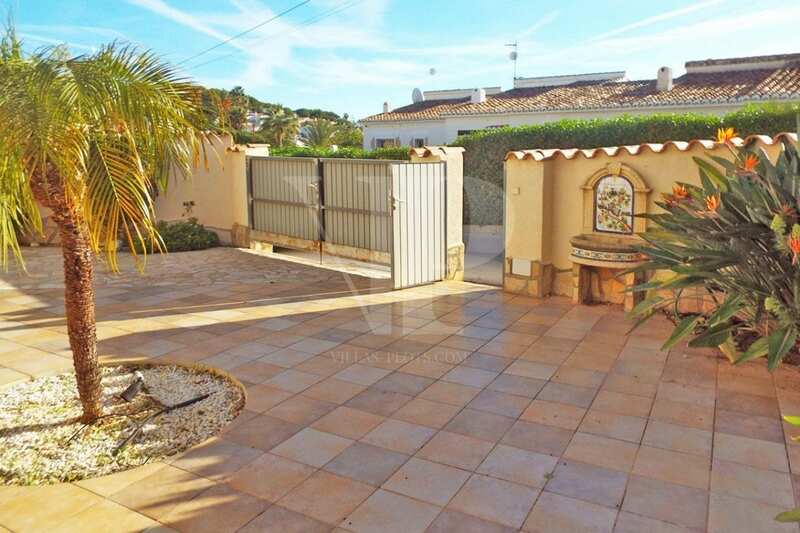 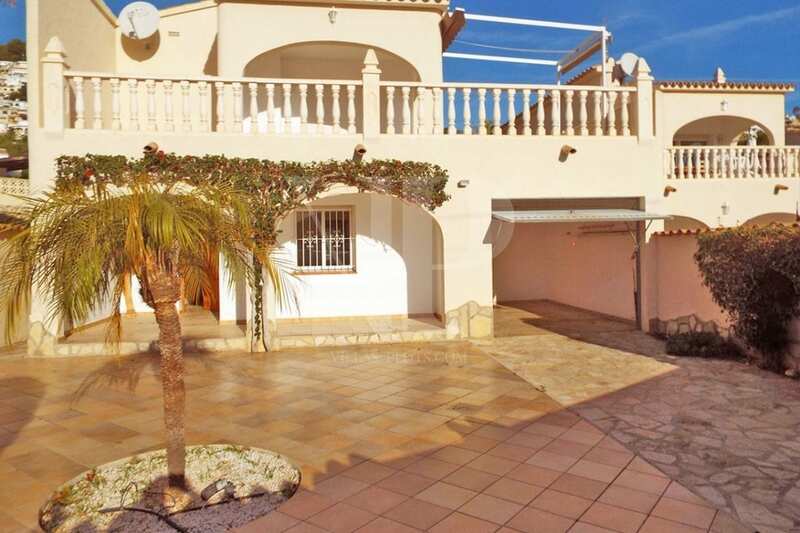 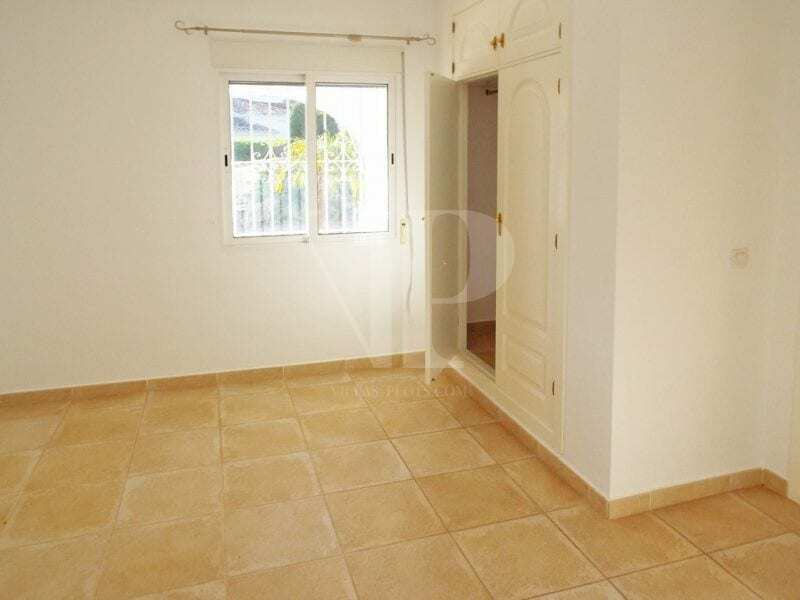 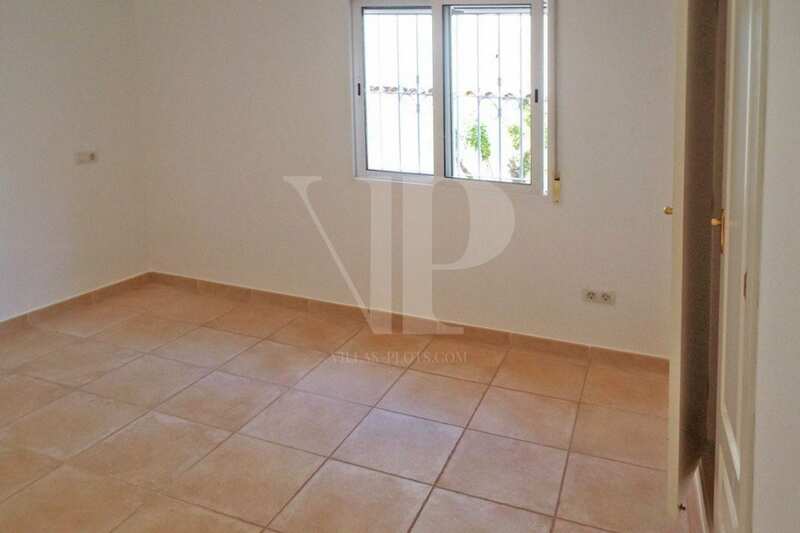 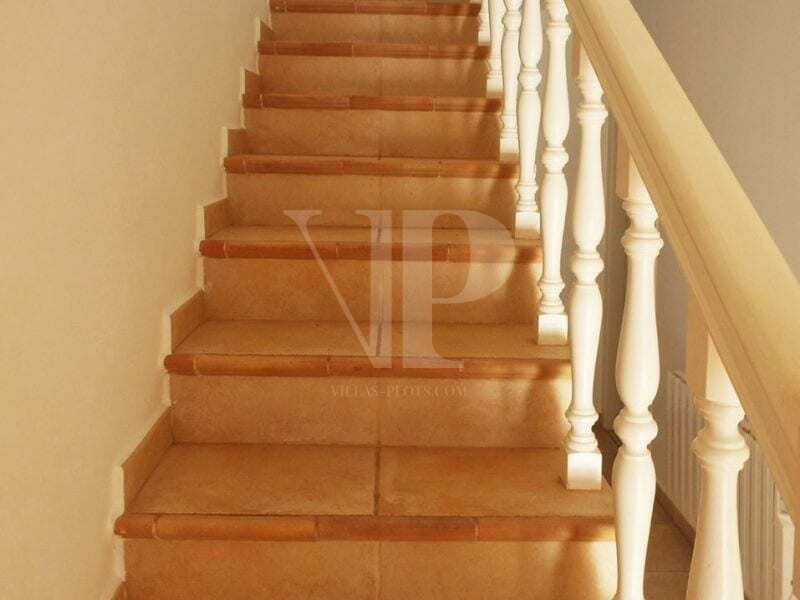 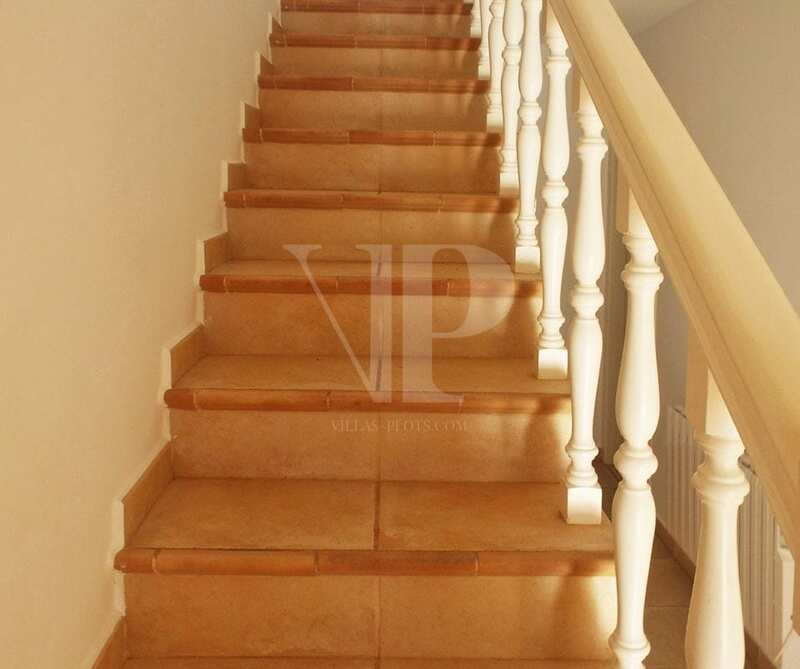 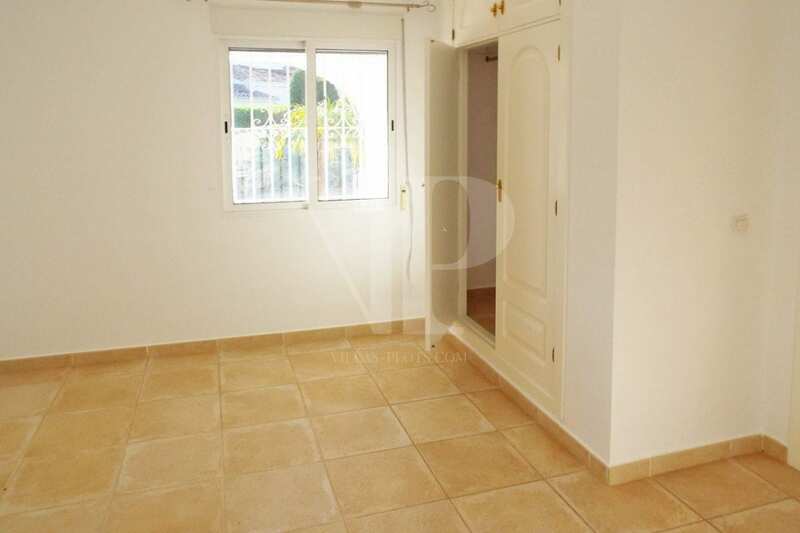 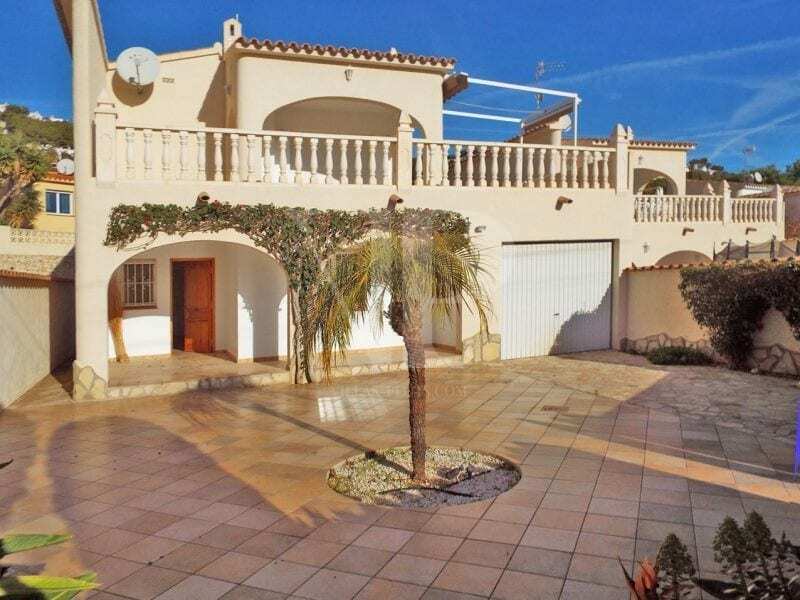 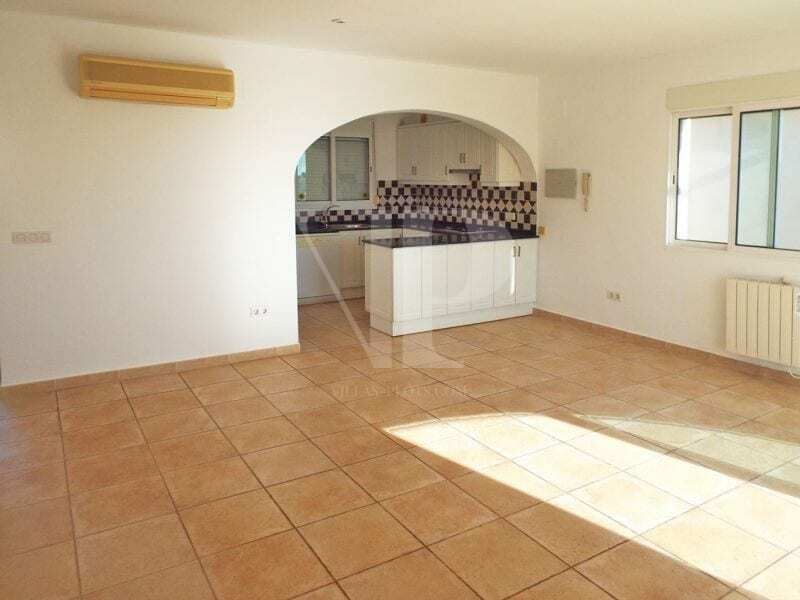 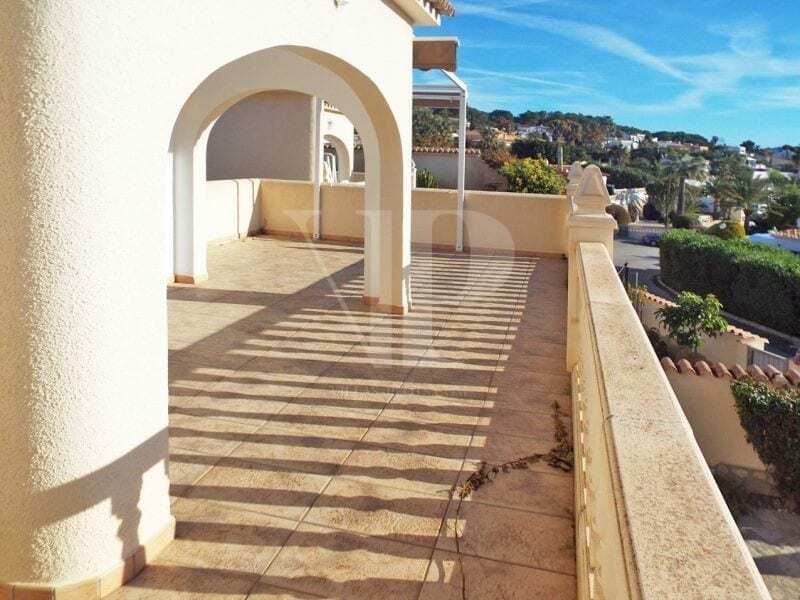 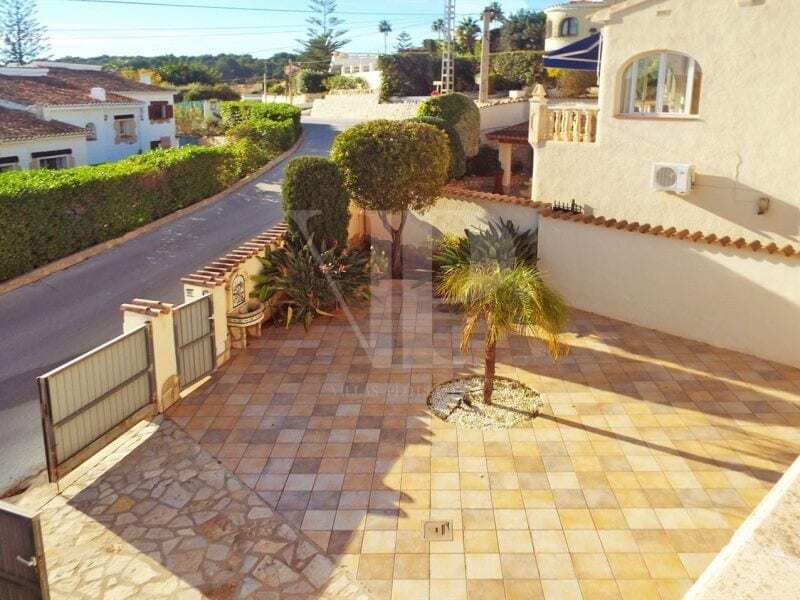 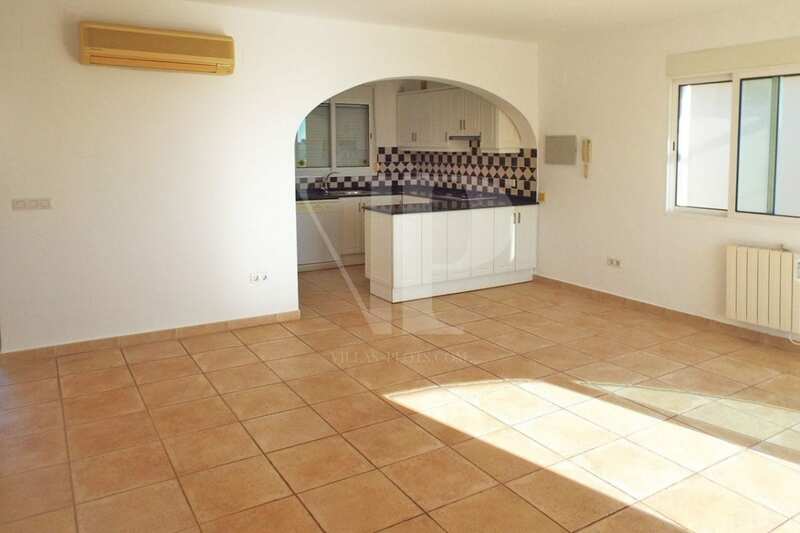 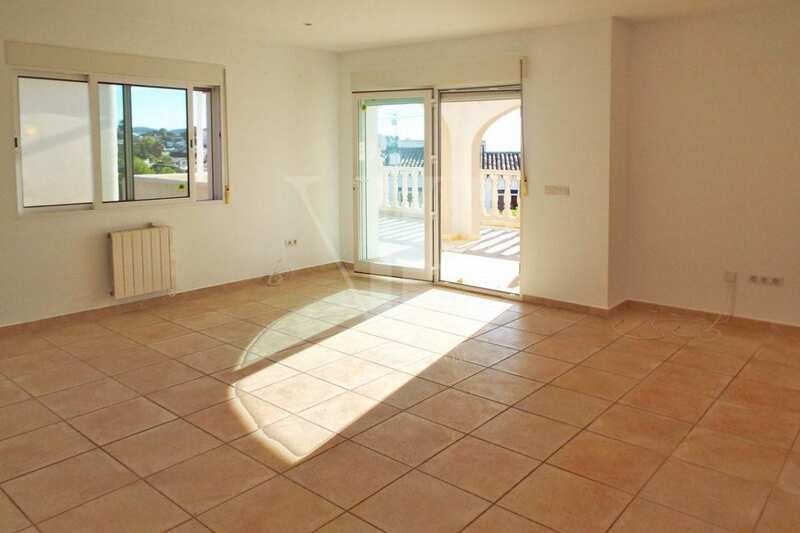 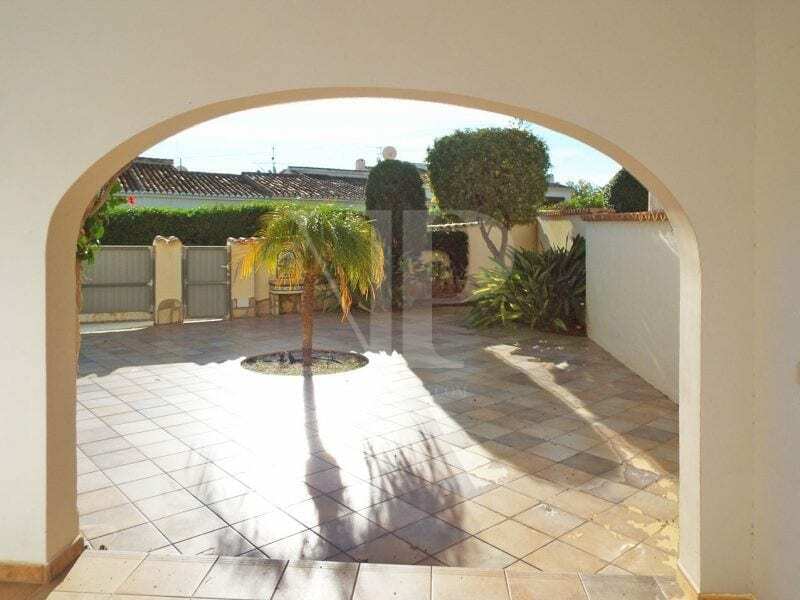 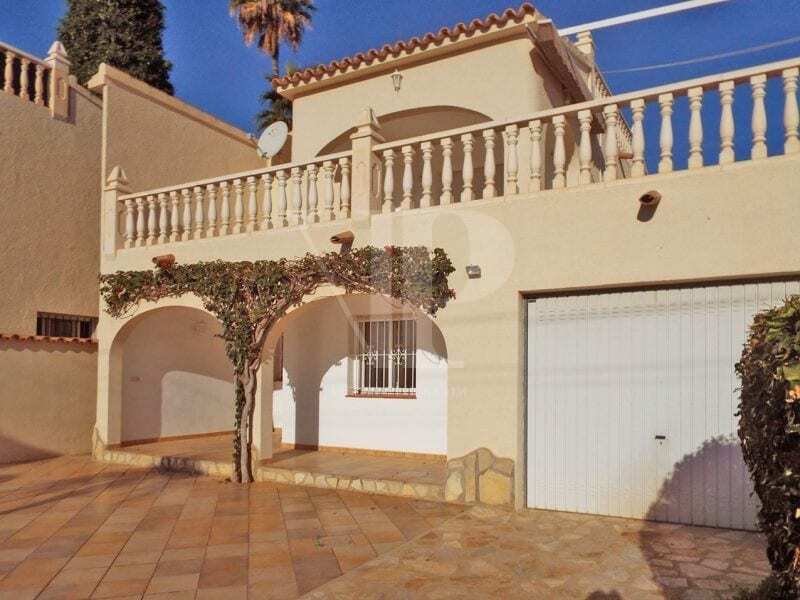 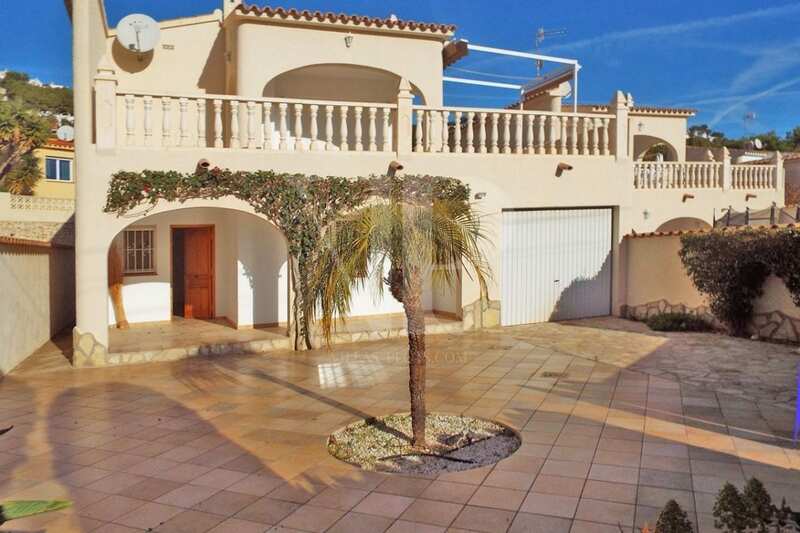 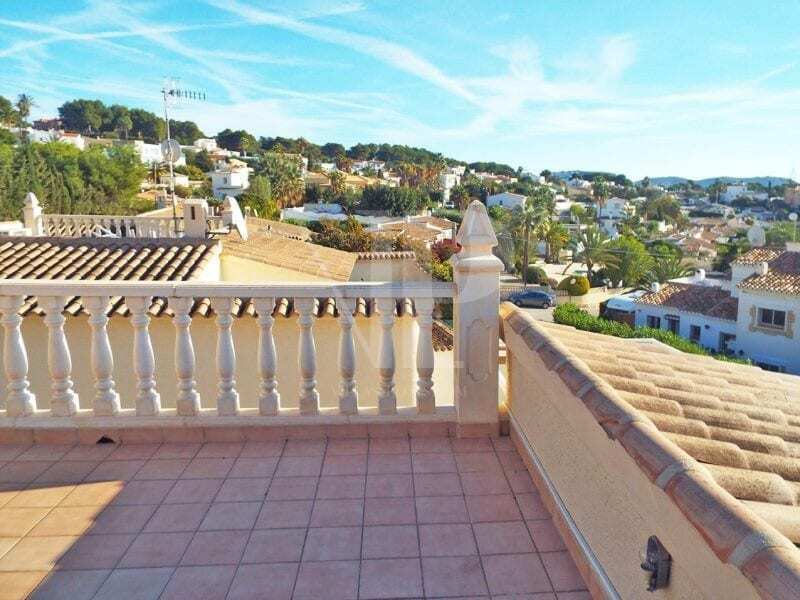 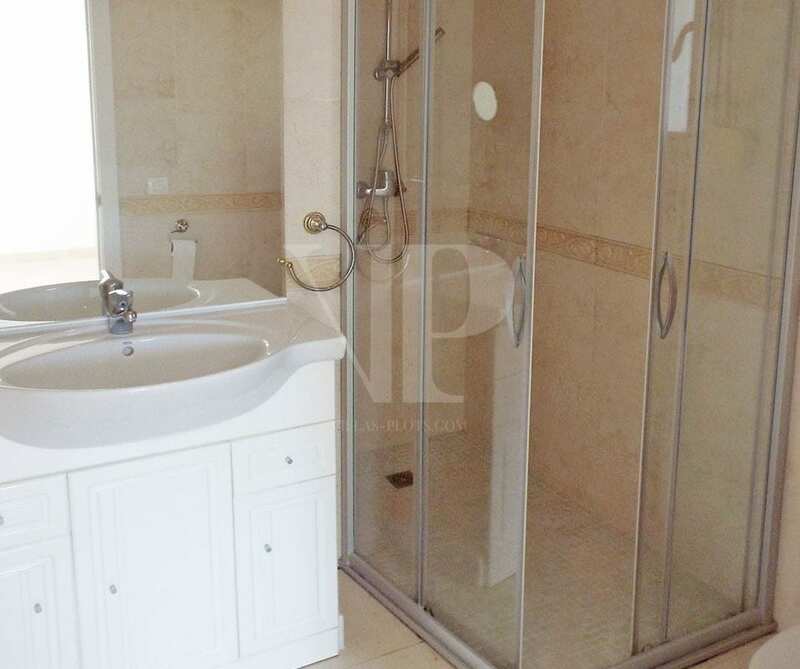 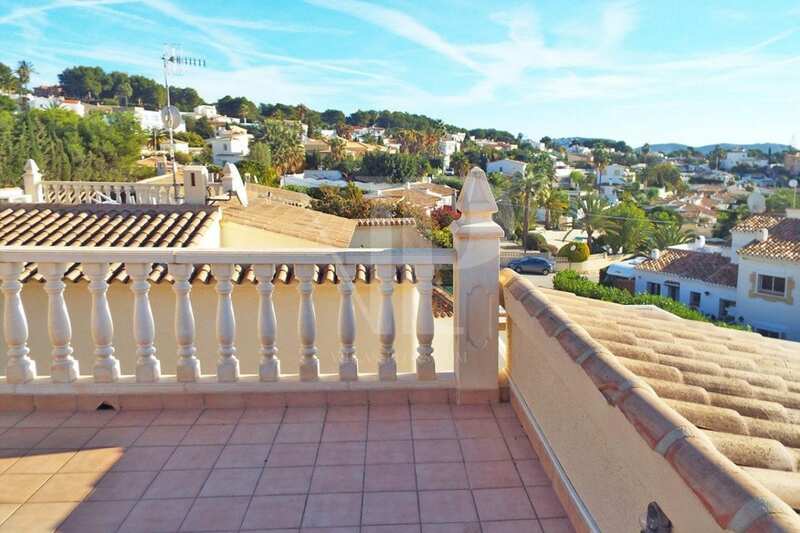 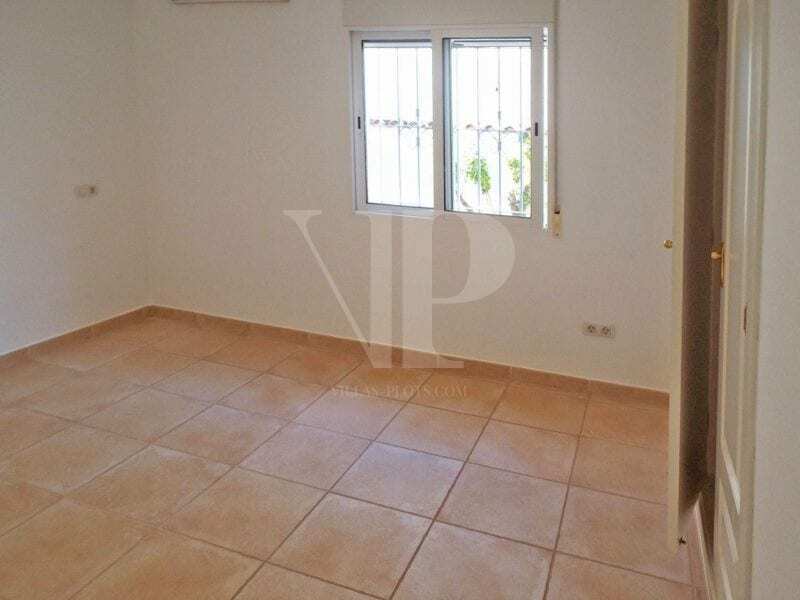 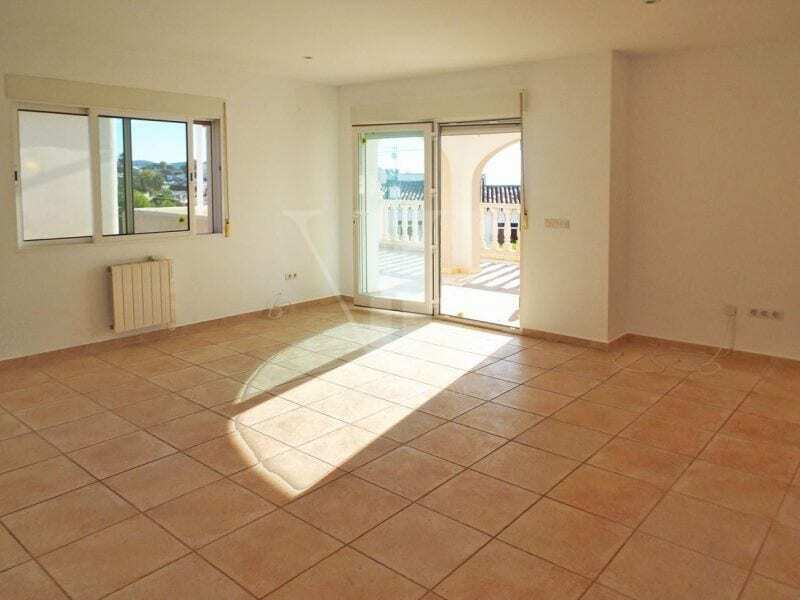 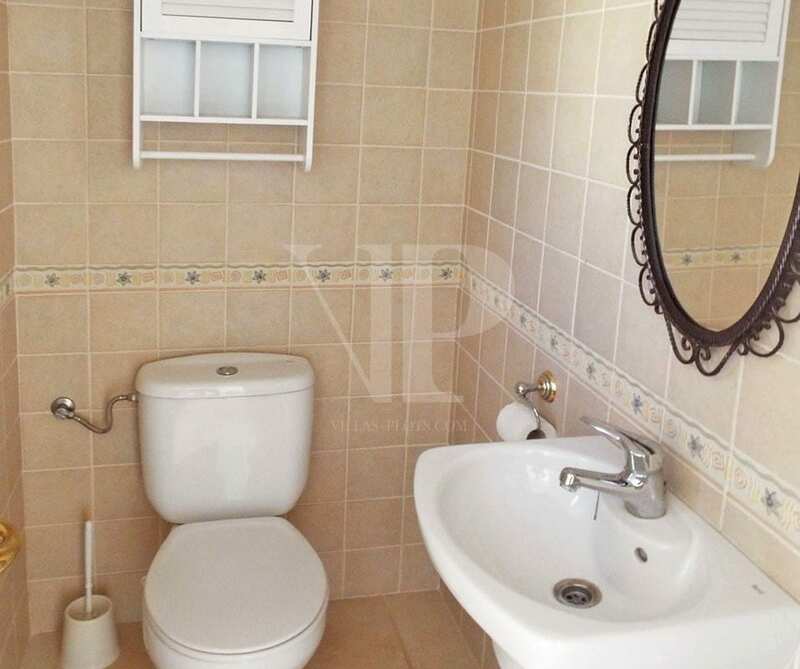 For Sale: Detached villa in Moraira with a communal pool. 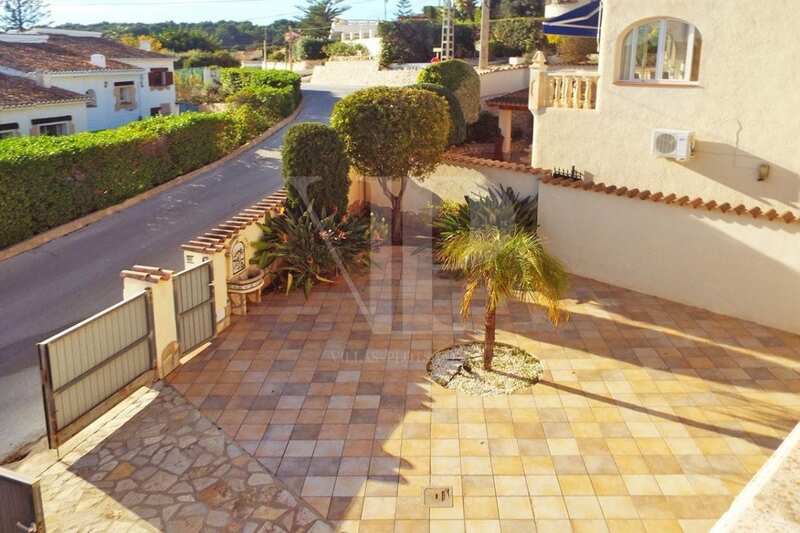 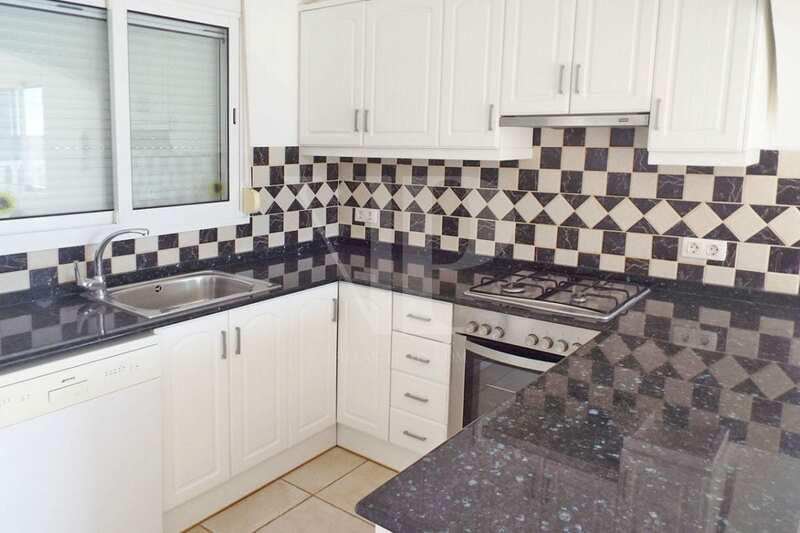 The property has its own private garden and benefits from a garage. 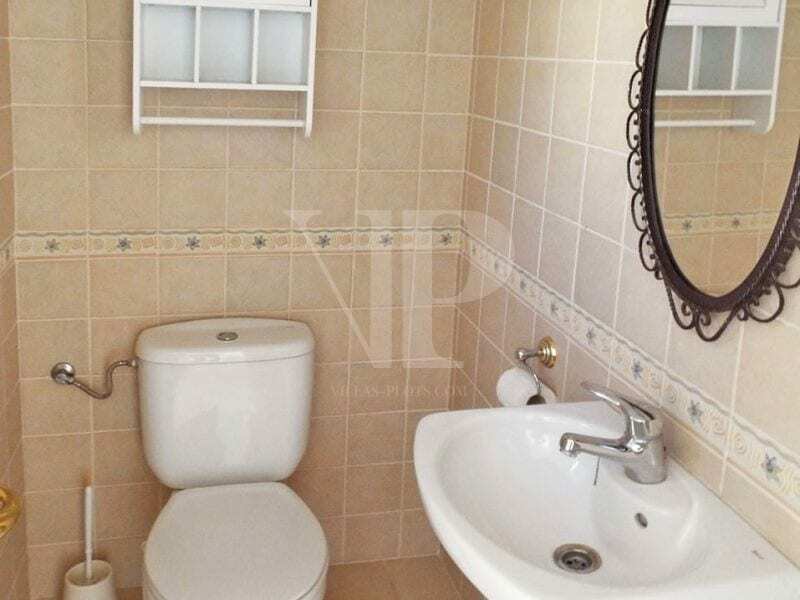 The villa has 3 bedrooms, 2 bathrooms and 1 wc, as well as open living-dining room and American kitchen. 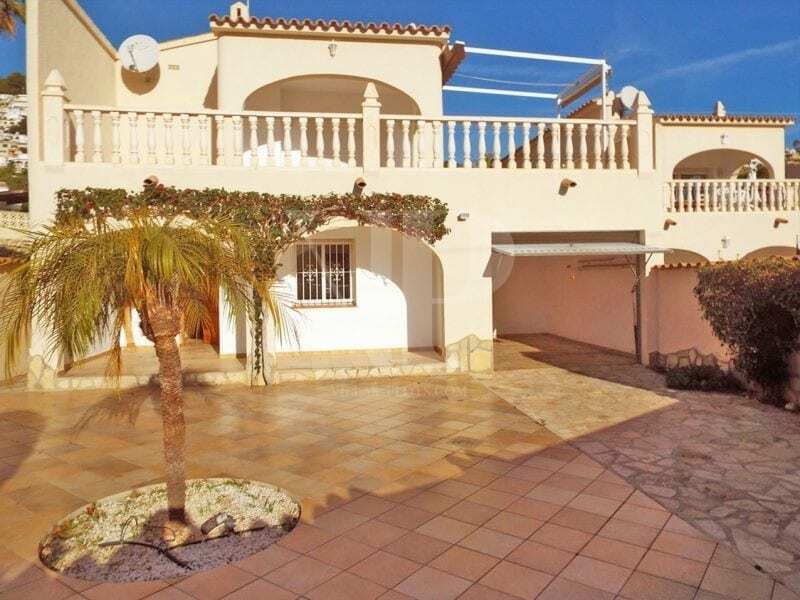 This villa benefits from a South orientation, air conditioning, easy maintenance plot and a distant sea view.